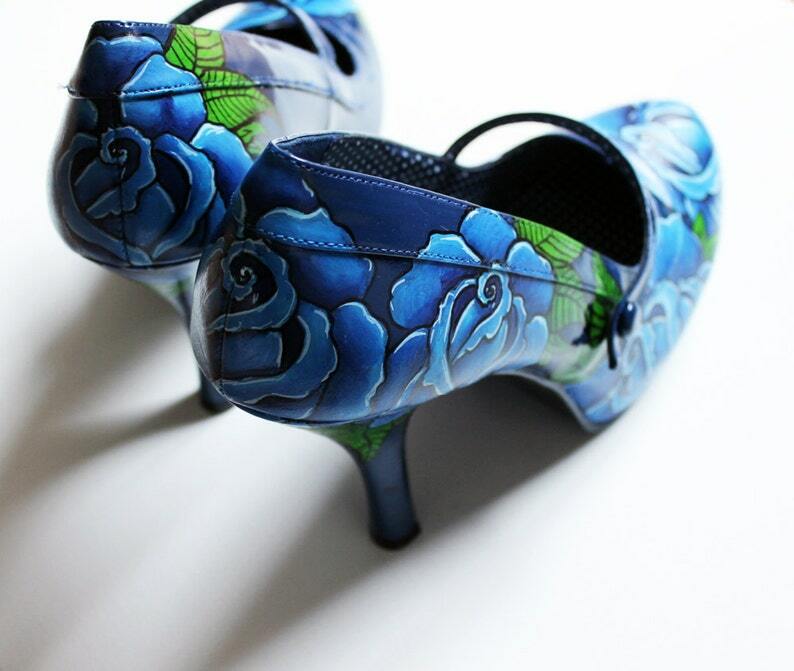 This listing is to customise a pair of shoes with a set bright blue roses on each shoe. You choose the shoe size and the shoe colour! These are hand painted and no one will be the same. This design by default will remain blue. If you wish the design to be another colour please send me a convo. Since I do not keep shoe stock, the ones listed are the colours that are readily available. But there are MANY more colours available. Please contact me if you would like a colour that is not on the list. All my shoes are sealed, making them waterproof. To ensure that your shoes do stay in a good condition, try your best to keep your shoes clean and dirt free. Should the need arise for a spot of cleaning, with a damp cloth wipe down the shoe.